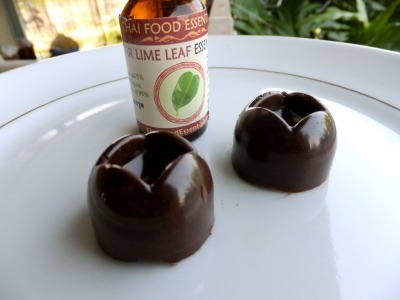 Here’s an excellent idea we haven’t thought of: adding kaffir lime essential oil to pure cocoa butter and cocoa, to create unique falvored top quality chocolate. 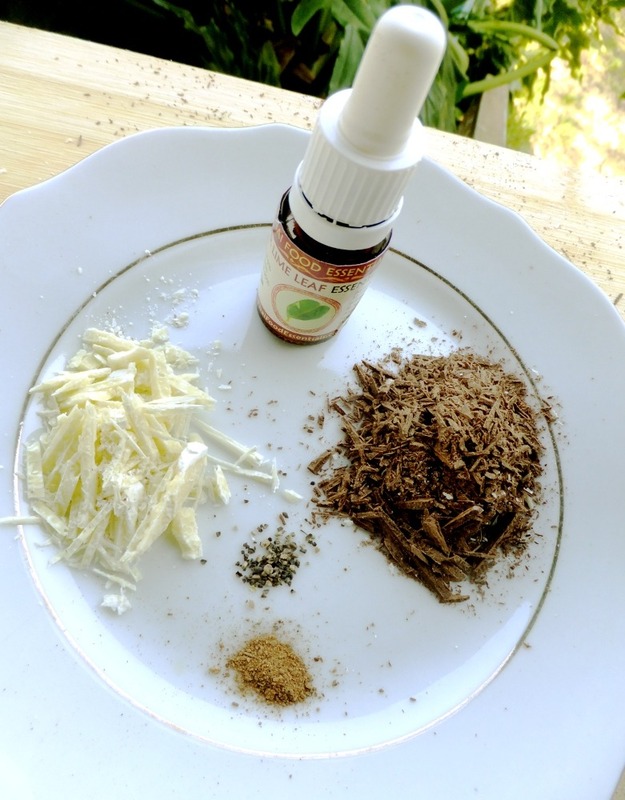 Our friends Imbar from “sun kissed foods” and AsItIs were experimenting with adding various essential oils and spices to their home made chocolate. The process is simple: using a bain-marie, melt 1 part cocoa butter and 2 parts cocoa solids (or good quality cocoa powder), add a sweetener, depending on how sweet you like your chocolate. Most people would use sugar or caster sugar, but in this case, silan (date paste) was used. Add the dry spices (If you’re using any. in this case, it was freshly ground black pepper and cinnamon), mix and turn off the heat. Then add the essential oil (about 1 drop per 100 gr of chocolate). Pour the mixture into silicone moulds and store in the freezer for 10 minutes. After that, you can eat it right away or store in a sealed container in a dark cool place or in the fridge. Thanks, AsItIs and Imbar, for adding your sweet touch to our site.